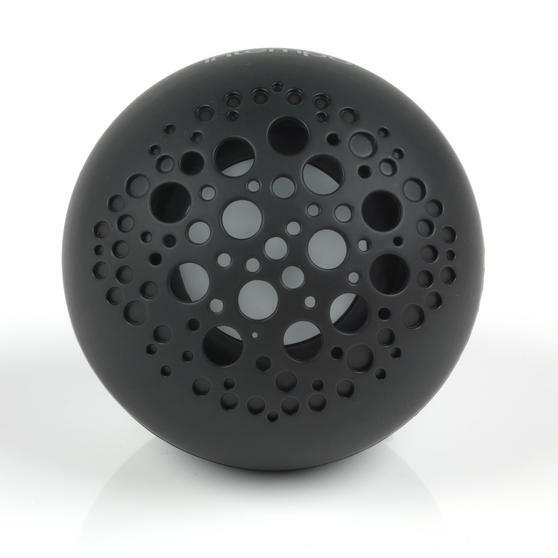 Enjoy your favourite music in style with this Intempo ball speaker featuring a sleek design and a smooth finish. 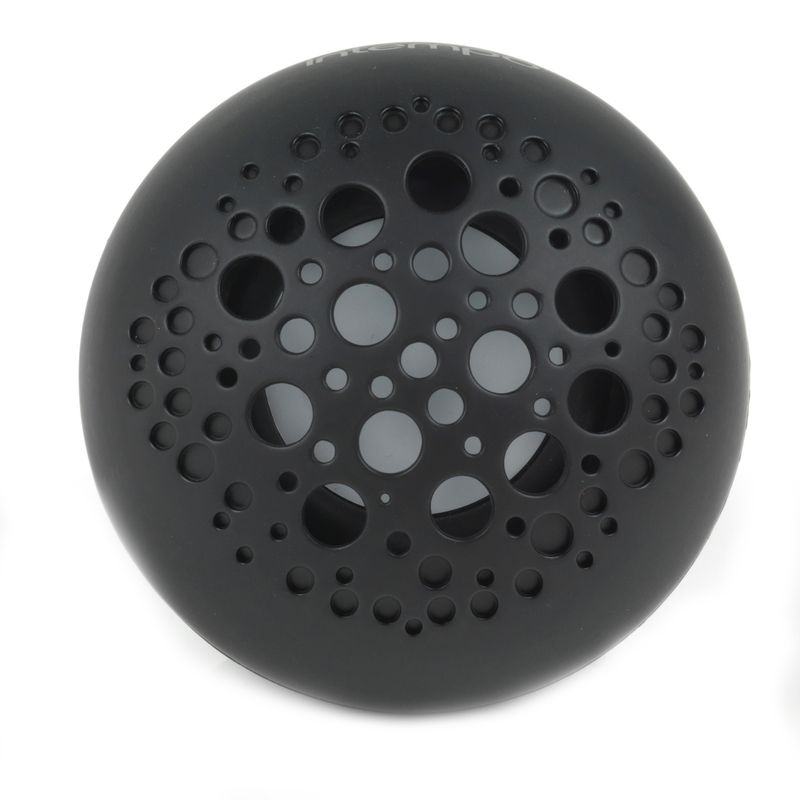 Conveniently compact, it is the perfect size to keep in your bedroom, on your desk in the office or to carry with you in your bag ready for a party. The rechargeable battery and Bluetooth connectivity enables you to play music wirelessly from your Smartphone, tablet or MP3 player and it comes with a USB–micro USB charging cable so you can easily charge the speaker from your computer. 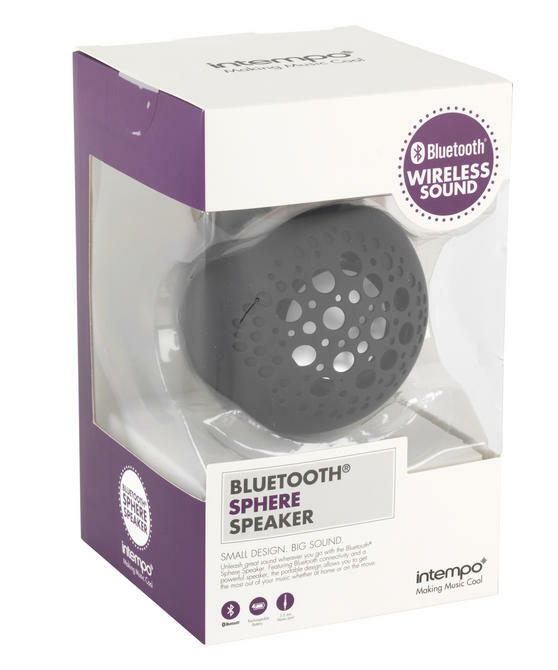 Connect to your Smartphone, tablet or MP3 player and listen to the best music wherever you are with this Intempo Ball Speaker. 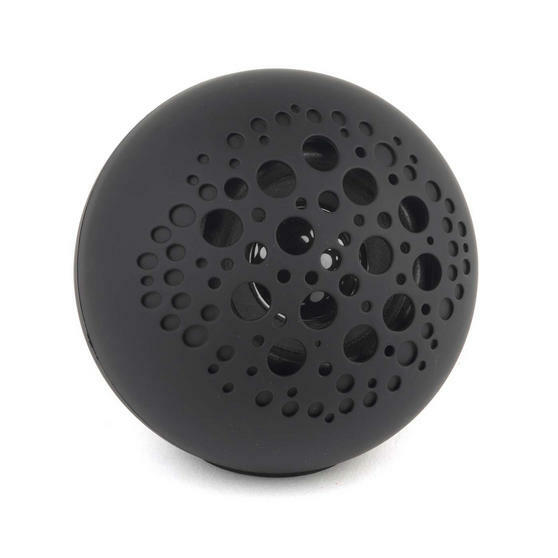 Measuring just 8.1 x 8.1 x 7.6 cm, the ball speaker is small, compact and weighs just 170 g, making it conveniently portable. 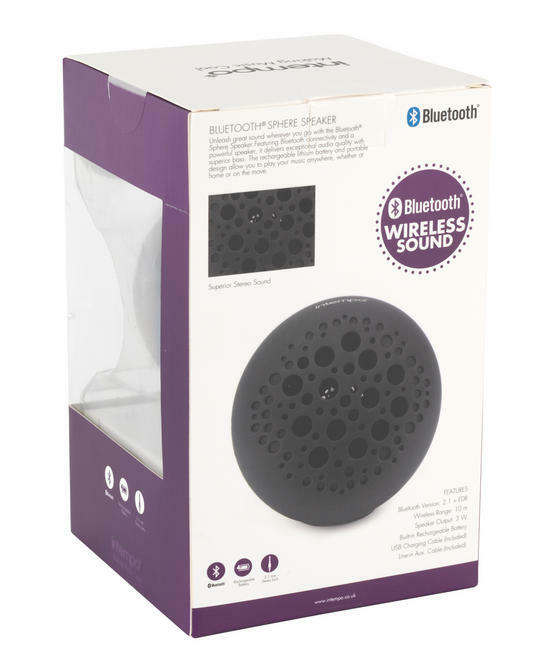 The speaker contains a rechargeable battery with up to 1.5 hours play time from one charge so you can enjoy wireless music. A USB – micro USB charging cord is included with the speaker so you can plug it into your computer or mains plug with a USB port. It has a 3.5 mm stereo jack input so you can also play music through most non-Bluetooth devices by simply plugging in an aux. cable.